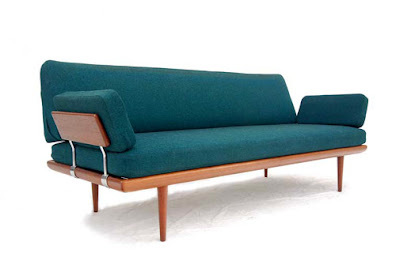 Over the weekend I became acquainted with the work of two mid-century designers. 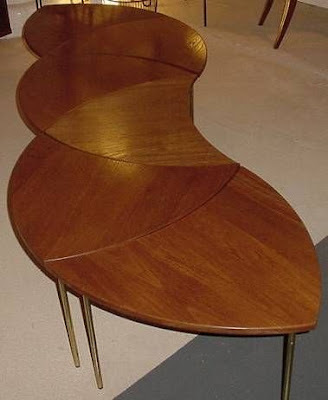 The first, Peter Hvidt (1916 - 1986), was trained as an architect and cabinetmaker at the School of Arts and Crafts in Copenhagen. 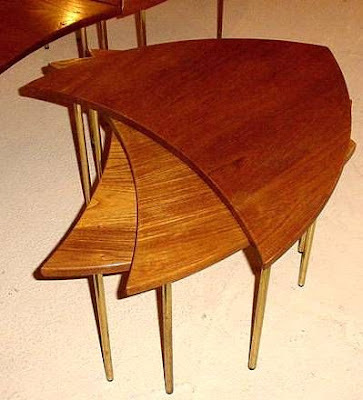 In 1944 he opened his furniture design office with Orla Mølgaard-Nielsen. 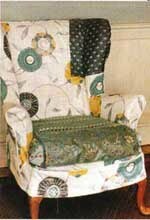 I find their designs to be quite subtle and intellectual. 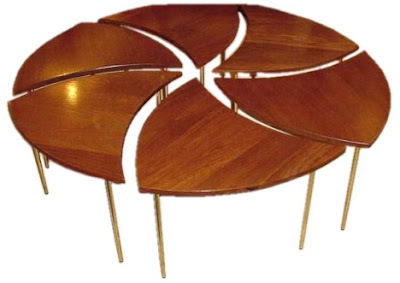 This versatile pinwheel table is ingenious. 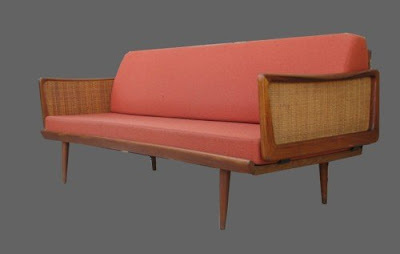 I love the wood arm detail on these simple sofas. 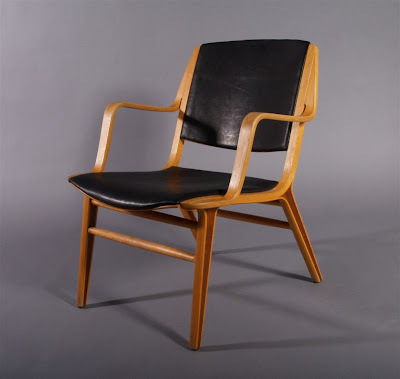 The iconic "AX" chair (1954)is featured at the MOMA.